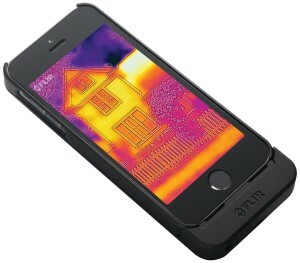 A cost-effective alternative to all-in-one thermal imagers are attachments for smartphones (Android or iOS). 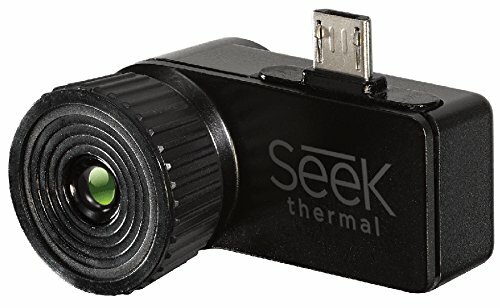 The mobile phone displays the thermal image of an external sensor and offers the possibility to save the images to view them later. The Seek Thermal attachment convinces with its wide temperature range and high resolution. In the Extended Range version, the adjustable focus allows for the highest possible depth of view. It is available in both the Standard Range* and Extended Range* versions for Android and iOS and is compatible with many smartphones. 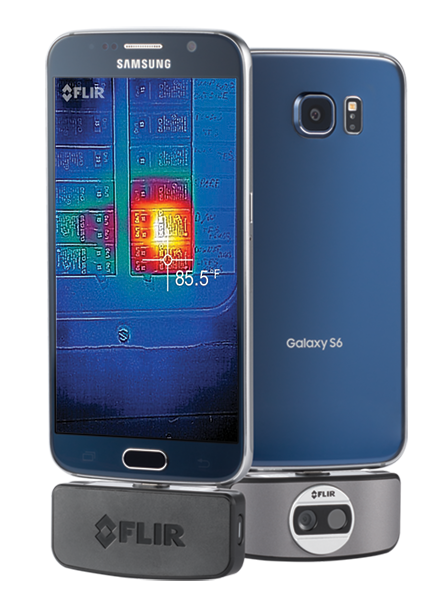 A combination of thermal imaging camera and protective cover is the FLIR ONE for Apple iPhone 5 / 5S*. Unfortunately, both the resolution of this device and the temperature range are the lowest in the comparison, but represents a low-cost option in conjunction with a smartphone. The product is recommended especially for applications where a fall of the device can not always be avoided (hunting, security, etc.). 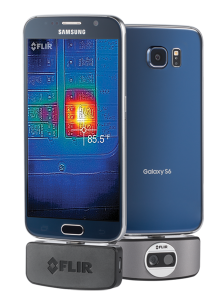 As a successor to the iPhone’s protective case, FLIR offers an improved version of the FLIR ONE for an Android* and iOS smartphone*. The temperature range was increased by 40 Kelvin and the resolution doubled. 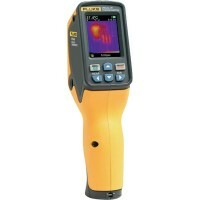 It uses the MSX image combining technology that blends the visible spectrum with the thermal image on the softwareside and delivers more beautiful pictures with more details to the smartphone. This attachment for the smartphone provides a good compromise between price and performance.